Offering you a complete choice of products which include viton rubber cords and silicone rubber cords. 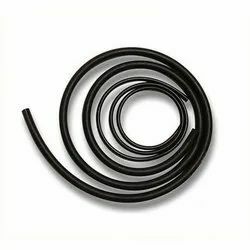 We offer viton rubber cords in dia from 1 mm upto 50 mm and in continuous length as required. These can be offered in very close tolerances for all kinds of industrial applications. We offer silicone rubber cords in dia from 1 mm upto 50 mm and in continuous length as required. These can be offered in very close tolerances for all kinds of industrial applications including for pharma industries in medicine/food grades.